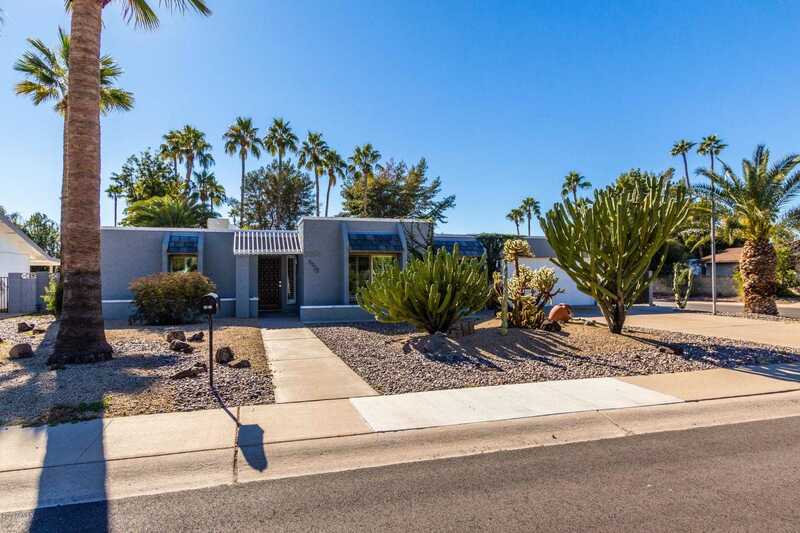 **MAKE AN OFFER** Completely remodeled Scottsdale home on corner lot! Absolutely stunning featuring simulated wood flooring, a brand new kitchen, designer pain and plantation shutters. Spacious open concept floor plan. This ever popular white kitchen boasts stainless steel appliances, updated cabinetry and subway tile backs plash! Gorgeous counter tops finish this kitchen to perfection. Master suite is generously sized with a view of the pool and an ensuite comprised of double sinks & large super-shower. A huge walk-in closet leaves this master faultless. This home’s finishes are of utmost modern contemporary taste. Enjoy AZ outdoor living under this covered patio and resort style diving pool and spa. RV gate & 2 car garage. Pristine condition and quality workmanship. NO HOA! Approximate size: 10131.00 sq. ft.